The principles and techniques used by Dr. Keene. Click on the links to read about Dr. Keene’s unique techniques and involvement. Learn what we can do for your individual case. Call for a FREE consultation. Patients who seek surgical treatment for hair loss at PHI will first of all, be educated about medical options to stabilize hair loss as well as surgical options to replace already lost hair. For over 20 years Dr. Keene has been pioneering, innovating, and teaching the most advanced and effective techniques of hair transplantation offered anywhere. Naturally occurring hair follicle bundles known as follicular units are surgically removed from the “safe donor area” on the sides and back of the scalp, hairs that are generally not affected by the hair loss process that creates male pattern baldness aka androgenetic alopecia (AGA). These donor hair bundles of 1-4 hairs are the grafts which are then transplanted into tiny incisions in the areas of hair loss, based on the patients desire to address the hairline, frontal, midfrontal or vertex (crown) areas of the scalp. By using follicular units as they appear in nature, results appear natural as well. As a pioneer in follicular unit transplantation, Dr. Keene helped make the unsightly “corn row” techniques using large 4 mm plugs, obsolete. 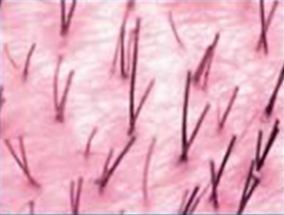 Whenever possible Dr. Keene also utilizes tiny double follicular units (DFUs) limited in size to just 3 – 4 hairs in order to reduce over use of single hairs outside the hair line area, and instead pairs them with a nearby 2 or 3 hair follicular unit, for added density with fewer incisions. This can allow grafts to be placed closer together and maximizes naturalness while increasing hair density. Despite advertisements that suggest there may be multiple hair transplant procedures relative to names of the medical devices used to assist with follicular unit excision (FUE), there are actually only 2 techniques for harvesting donor grafts, and true specialists in hair restoration surgery such as Dr. Keene offer both. This is because clinical circumstances for a particular patient can make one technique advantageous over another, or sometimes makes a combination of both techniques the optimal choice for maximal graft numbers. A description of each donor harvesting method will follow. This donor harvesting technique is a full thickness, linear excision of skin and hair, from a narrow zone of optimal density in the safe donor area. Every hair from the removed ellipse is carefully dissected with a microscope to create the tiny 1-4 hair follicular unit grafts. While the donor ellipse is being dissected, Dr. Keene closes the incision using a secure, two layer closure, with internal and external sutures. The internal sutures dissolve, and the external sutures are removed 7 to 10 days after surgery. When elasticity allows, Dr. Keene performs a trichophytic closure, overlapping the incision edges to allow hair to grow out through the incisional scar enhancing its camouflage. The advantage to the linear ellipse technique is the high regrowth rate when optimal graft handling and graft preserving techniques are observed. It also allows removal of concentrated donor hair from the central area of the safe zone, making it less likely to be affected by progressive hair loss in the case of young patients who may be at risk for advanced patterns of hair loss. The area of scar tissue is isolated to the line of the scar and other areas of the scalp and hair remain scar free. Multiple small studies have revealed >95% graft survival. The donor harvesting technique of follicular unit excision (formerly known as follicular unit extraction) utilizes a small micro punch to excise individual follicular unit grafts. Unlike many clinics today, Dr. Keene performs the FUE procedure herself. She has compared numerous medical devices in order to choose those she has found to be most useful for producing the healthiest grafts. Motorized devices speed the FUE donor removal over removing the grafts manually. The devices Dr. Keene utilize limit the risk of dehydrating the grafts (as can happen with suction used in some devices) and diminishes transection rates. The WAW machine provides both oscillation and rotation to excise the follicular units (1 to 4 hair grafts) one at a time, with minimal transection, while maintaining vital tissue surrounding the follicles. This helps maintain growth factors present in the tissue around the grafts. The WAW FUE donor removal technique is demonstrated here. Dr. Keene sometimes utilizes the S.A.F.E. machine, which also provides minimal transaction through the use of the dull excision technique. This refers to removing each graft with a rotating biopsy type excision, making the excision deep enough to delineate/outline the circumference of the graft part way, and then pulling the graft from the underlying tissue to avoid cutting off the follicles. At times this device may be chosen depending on your hair characteristics. Dr. Keene will judge which device to choose based on the individual patient. She will continue to update her choice of FUE devices as the devices advance. Each FUE graft leaves tiny dot scars, and in cases where there are thousands of grafts will leave a thousand small dots, distributed diffusely. However, for patients who prefer to wear their hair in a buzz cut, the small dots created by FUE are typically not visible if hair is at least 2 mm long. The absence of a linear incision means patients can more quickly return to all degrees of physical activity and athletics without concern for protecting a healing incision. The FUE technique is also advantageous when donor laxity is not sufficient for the strip donor removal method due to prior surgeries. Are Neograft, Smartgraft, Artas, etc different surgical procedures for hair transplantation? Neograft, Smartgraft, and Artas, and a variety of other devices are machines used to assist the user with FUE donor harvesting as part of a hair restoration surgery. Each medical device can only safely be used by licensed medical practitioners, experienced and trained in hair restoration. 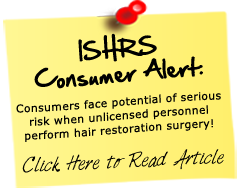 They do not provide a unique “technique” of hair transplantation, and none of them automatically perform a procedure so require the doctor to be knowledgeable about the field of hair loss and hair restoration surgery. As with all cosmetic surgery, the success of the surgery depends on the skill and experience of the individual surgeon performing it. When you choose Dr. Keene, you can be certain she will be involved in all aspects of surgery, including donor harvesting and graft placement. When you see before and after photos you can also be sure that Dr. Keene has performed the work you see herself. Some doctors who purchase medical devices that are touted as “automatic” use stock company photos and may not actually perform the surgery themselves.